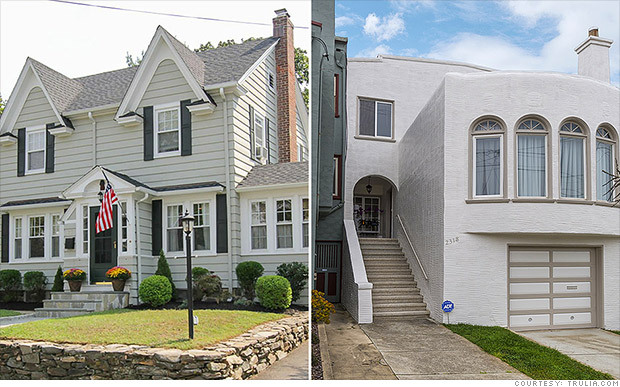 At left: A Fairfield, Conn. three-bedroom, 2½-bath, 1,458 sq. ft. home for $430,000. At right: A San Francisco three-bedroom, 2-bath, 1,600 sq. ft. home for $849,000. It's not easy to step up your diet and exercise routine -- and having a Cinnabon on every corner sure doesn't help. To find the best metros for getting fit, MONEY and Trulia crunched some health-centric data, looking for places with easy access to nutritious food, dietary advice, and plenty of exercise options. We compare the top two. Two of the nation's healthiest metro areas face off.